Happy Halloweekend! 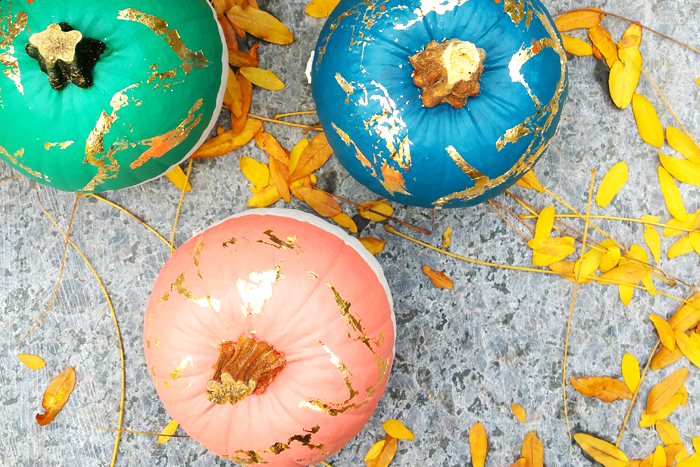 Whether you’re frantically getting ready for Halloween or looking for fresh Fall decorating ideas, these DIY Gold Leaf Painted Pumpkins are the perfect way to add an extra flare to your doorstep or window sill. When the BEHR 2016 Color Trends were released, I fell in love with pretty much every single colour which led me to order a sample of each, literally! 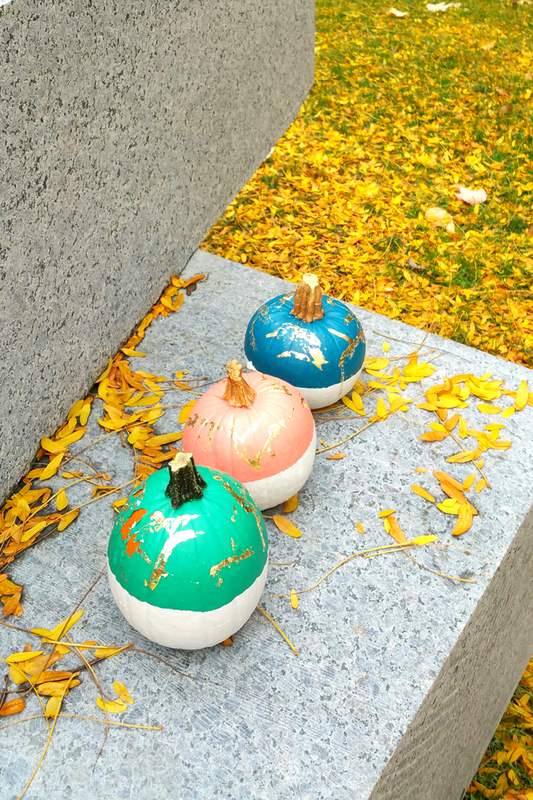 With miniature pumpkins in hand, I was determined to showcase a few of my most favourite from the Color Trends list. 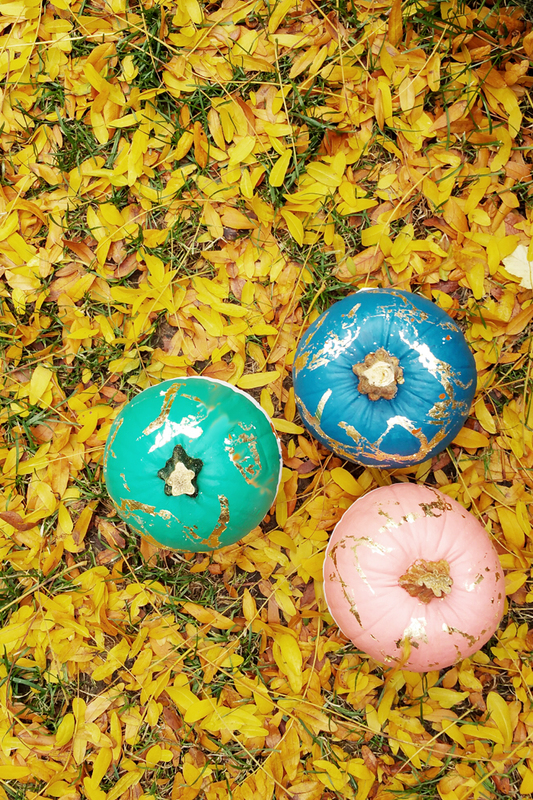 Read further to learn how to create your own Gold Leaf Painted Pumpkins in just a few simple steps! Hope your enjoyed this super easy and fun DIY tutorial! Be sure to check out more of my BEHR Paint projects for more inspiration! I wish you a Happy Halloween! 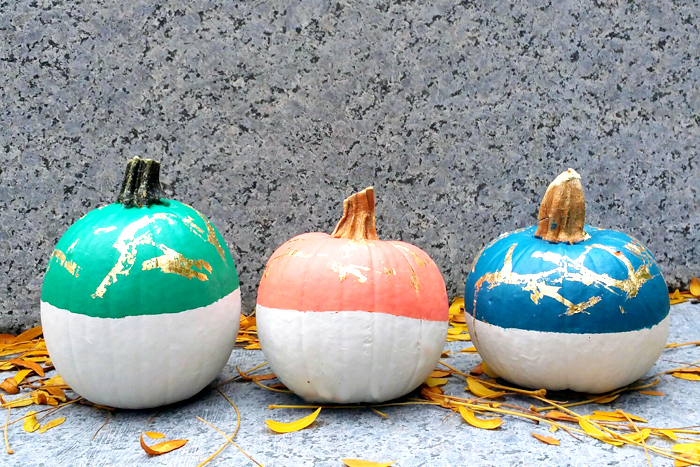 Those are some pretty punkins! Gotta try this!